Note: This article has been taken from the book “Kabbala: Teorie şi practică” by Raul Petrişor, Editura Coresi, 2010. The article has been published with the author’s permission. To define the concept of kabbala is not such an easy task. Even before consulting a dictionary we must know how it is spelled in order to find it. The word begins with K or Q ? And that is just for the beginning. We must take into account the fact that there are more ways to write this word. And every version of writing is usually associated with a mystical or esoteric tradition in which kabbala plays an important role. Looking into Romanian dictionaries, the surprise was big because, if we take in consideration various aspects, the definition is wrong and doesn’t even respect the definitions of the great institutions with history in this domain, such as Cambridge or Oxford. CABÁLĂ v. conspiracy, plot, intrigue, machination. Source: Dicţionar de sinonime, 2002. How do we get to conspiracy, intrigue, plot, machination? The term does not come from the French or German It is like saying that the word taci comes from the English touch. The word kabbala appears for the first time in the writings of the poet and thinker Salomon Ibn Gabirol, but was not used until beginning with the XIV century. The term is used to designate a set of esoteric or mystical teachings initially kept within Judaism, but promoted later in the XII century, in cultural centers such as those in Spain. Kabbalah is formed from a set of teachings and analyses that study the nature of the Universe, the aspects of Divinity and the ways of Creation. From this set of teachings derives the role of man in the revealed scheme. To say the same thing in a more simplified manner, it is necessary to know the name of the person with whom we want to meet face to face. In the same way, in order to see God’s face, it is indispensable to know His name. Kabbalah insists on the fact that we must get to see the divine face, the aspects of God, in the interior world as well as the exterior world. The soul or divine spark in us seeks permanently to understand the ways of the divine and to apply them in the physical realm. Kabbalah teaches us that the forms that we see every day are but masks which cover spiritual things and aspects, principles through which the entire Creation manifests. Becoming aware of these we actually become aware of the way that God manifests on every level of Creation, of the way in which He wishes to be perceived, to be experimented, to be felt etc. All of these because in kabbalah the simple act of receiving isn’t a passive one, like reaching out one’s hand to something, but an active process of receiving and acknowledgement of the divine aspects in everyone’s life, it is a constant process of searching and personal understanding of the aspects more and more profound of divinity which manifest in the Universe and through the Universe. Through this process of opening our hearts and souls we open to receive teachings more and more profound. The heart becomes active and transforms itself into an organ of spiritual judgement. The opening of the heart is a state of conscience over which the kabbalistic practices are directed, it is the state in which we are given access to the unseen world, beyond that which we can understand or, more often, accept the human mind. For the greater majority of kabbalists, the heart is a place in which, with the help of imagination, meditation and prayer, we can connect our mind to the spheres of influence of the Divine. 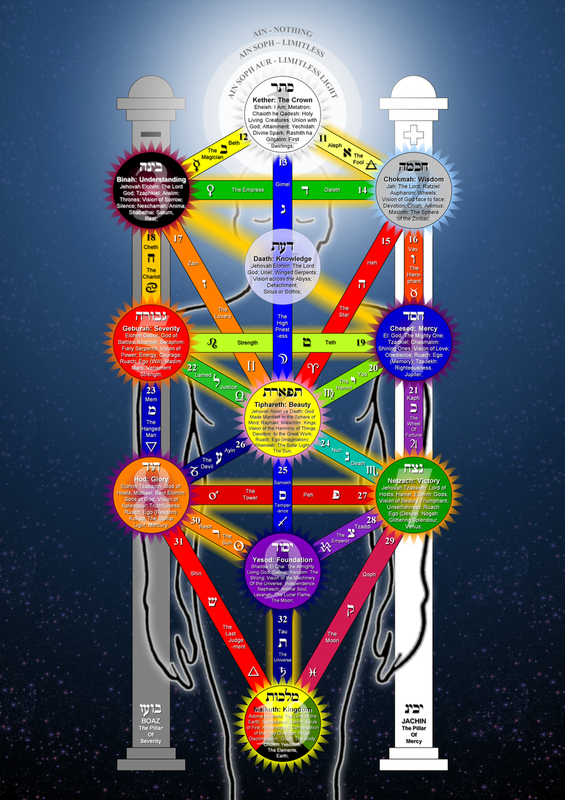 The central image of Kabbalah is formed of a system of Sephiroths connected between them through 22 links or 22 paths, called The Sephirotic Tree or The Tree Of Life. These form the 32 paths of wisdom, 32 being the numerical value of the word LEV, which means “heart”. According to the legends, kabbalah has been transmitted from God to Adam, and then the tradition went on from generation to generation until today. It has been transmitted through an unbroken line by known masters or, more often, unknown, saints and prophets, for thousands and thousands of years. In other words, its origin is surrounded by mystery and it seems it erupted with the dawn of human history, reflecting humanity’s evolution from the animal kingdom. In classical kabbalistic literature it is said that it is the revelation of the Creation’s mysteries and of God, of the mysteries of the human soul and of things like prophecies and magic; in short, mysticism and metaphysics. But, as much as any of these things, kabbalah is a mirror reflecting the burning intelligence which challenged humanity to rise above all the other species of creatures on this Earth – an intelligence that makes us conscious of our self and empowers us with the capacity of a conscious evolution much more intense than our present state. 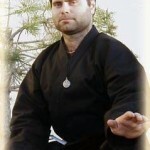 The kabbalistic science and practice are transmitted from teacher to student, usually implying a series of methods, techniques, meditations and prayers. The experience of universal kabbala is correlated with the majority of mystical traditions, without contradicting them however. The knowledge of kabbala is an universal truth which exceeds the cultural and social limits. Kabbalah is unique in its own way because it is among the few beliefs that are ancestral, but, in the same time, in continuous development. Kabbalah is practiced without interruption as a form of mysticism, personal development and spiritual path. The teachings of the Merkabah mystics became part of the Heikhalot school, whose name means palace, referring to the spiritual planes through which the mystics evolved. The descriptions of these travels are similar with the travels of the soul in the world of beyond, having magical words or names of gods, said before each door to be opened and each palace to be entered. Sefer-ha-Tora – Book of the Law, the first five books of the Old Testament. Etz-ha-Chayyim – Tree of Life, published in 1901. Sefer-ha-Zohar – Book of Splendor, published in 1558-1560. Sefer Yetzirah – Book of Formation, published at Mantua in 1562. Sefer-ha-Bahir – Book of the Brightness, published at Amsterdam in 1651. Peshitta – The Gospels, including also the Gospel according to Thomas. 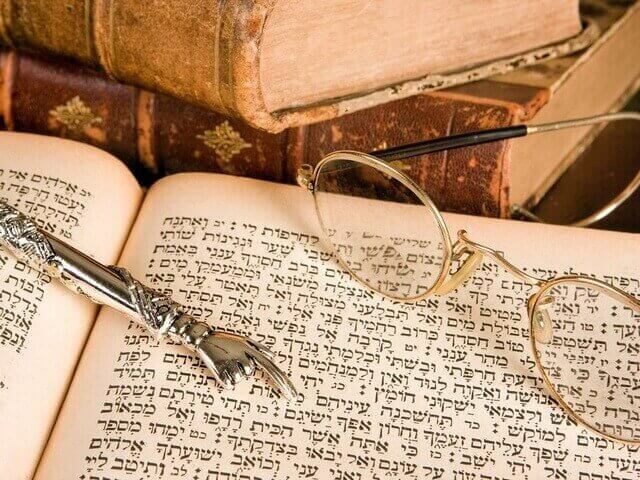 Many of the following kabbalistic schools are formed around these books, these containing the interpretation and meanings which reveal the action of God and the Creation. From the school formed at Safed in the XVI century come many thinking leaders of kabbala, especially Rabbi Isaac Luria, called Ari (1534-1572), and Rabbi Moshe Cordevero (1522-1570). 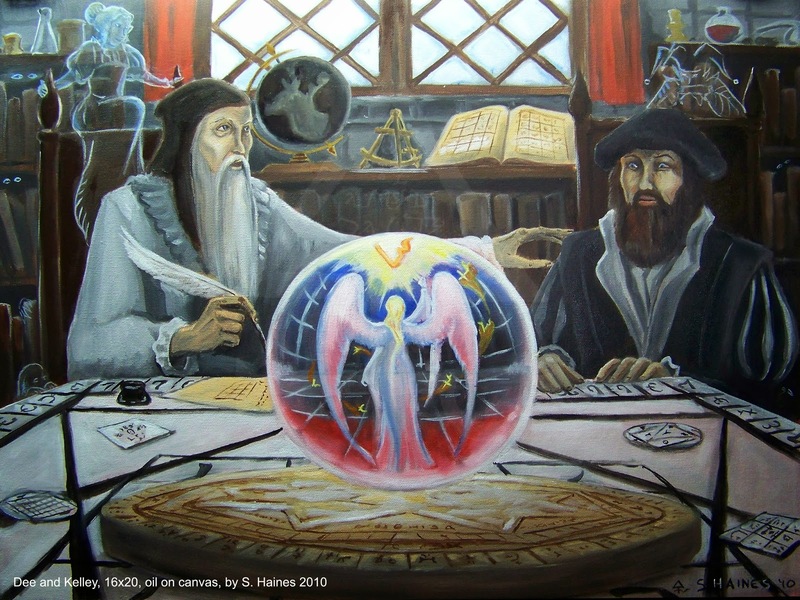 The former is responsible for a great part of the kabbalistic structure and cosmogony, thus the “lurianic” school of thought gave answers to many of the more complex kabbalistic problems, especially those about the “breaking of the vessels” . The next great historical development of kabbalah came with the Hasidic movement from the middle 1700s, concentrated around the Rabbi Israel, also known as Baal Shem Tov (1698-1760) , meaning “Master of the Divine Name”, a sign of profound respect in kabbala. After we have examined the development of kabbala in the Jewish tradition, we will try to outline a part of the important ways through which it went to the occult tradition especially in Europe and the modern magician. Kabbala and its teachings have got to the magical philosophy firstly through the medieval Christian thinkers who have seen in kabbala an example of validation of their own oral traditions. From the end of the XV century, the Jews converted to Christianity brought with them new points of view to the theologians. A platonic academy in Florence, founded by Giovanni Mirandola (1463-1494), has brought further the research and discussion of kabbala among philosophers of that time. Shaarey Orah’s publication Gates Of Light (1516), in latin, promoted the interest to the teachings in Bahir and the fundamental plan of the tree of life. The primary sources for the occult rebirth have been Athanasius Kircher (1602-1680), a german Jesuit who’s Oedipus Aegyptiacus (1630) detailed kabbala in the study of Egyptian mysteries and of hieroglyphs, and De Occulta Philosophia (1533) by Cornelius Agrippa. Other works coming from alchemists, including Khunrath, Fludd and Vaughan, have marked the definition of kabbala as metamap for the first hermetic thinkers. Christian mystics have started using its structure for explanations of their revelations, the most renowned being Jacob Boehme (1575-1624). However, the most important event from our line of examination is, indisputably, the publication of Christian Knorr Von Rosenroth (1636-89), Kabbala Denudata, written in latin from 1677 and 1684, which gave translations from Zohar and excerpts from the works of Isaac Luria. This work, which has been translated into English in 1887 by MacGregor Mathers (1854-1918) with the title The Kabbalah Unveiled, along with the translation of Sefer Yetzirah  , has formed The Golden Dawn, from which appeared many of the recent occultists, like Dion Fortune (1891-1946), who made a summary of the Sephiroth in The Mystical Qabalah (1935), and Aleister Crowley (1898-1947). The Christian occultist and member of Golden Dawn, Arthur Edward Waite, has written many works examining the secret tradition of the kabbala, though, about all these occultists, Gershom Scholem (1897-1982) says they were relying on their own imagination rather than the knowledge of the kabbala, which was “infinitesimal”. Another course has started from the works of Rosenroth through Eliphas Levi (1810-75), who known kabbalistic martinism through Hoene Wronski (1778-1853) and has studied, amongst others, Boehme and Rosenroth. He became a student of the tarot through the works of Court de Gebelin, who attributed the tarot an ancient Egyptian origin. Starting from Gebelin and Rosenroth, Levi synthesized a scheme of the system of psychological, occult and spiritual initiations. Levi wrote: “Kabbala can be named the mathematics of the human mind”. Aleister Crowley continued Levi’s work, presenting it in the tarot book “The Book Of Thoth”. On short, kabbala passed from the Jewish tradition through the Christian tradition by different currents as the Jewish Polish Renaissance from the XVIII century. Many of the early students and neo-platonic thinkers have started combining it with alchemy, and later occultists used it as a great plan of spiritual ascension, closing the mystical circle from which it came. Traditional kabbalists affirm that the occultist has an incomplete knowledge of the tree of life and, as such, the work with it is imperfect. Kabbala is a basic mechanism who’s untying is infinite and any serious approach of it’s basic metasystem will have a serious relevance if it is tested in the world that surrounds us, without having any importance on how it was formulated. About the first kabbalists it cannot be said that they had an imperfect knowledge about the tree of life, because they did not understand and didn’t even use the theory of the informational systems or because they didn’t understand the modern cosmology. Indeed, their examinations over their own person and over the Universe have unraveled a knowledge that existed hundreds of years before science defined it, in the same way that the contemporary occult thinking could be rediscovered in a science hundreds of years later. The body of the teachings and grouping of beliefs have as a central model a diagram composed of 10 circles connected through 22 lines, called Etz-ha-Chayyim or the Tree Of Life. These circles represent the 10 concepts named sephiroth, a Hebrew word meaning emanation; it is said that they represent every aspect of existence. The lines that unite them are called “paths” and are taken as representation of the nature of the 22 letters of the Hebrew alphabet, which, unlike the English alphabet or any other similar language, represent concepts and numbers in the same manner. The Sephiroth can be seen as paths, reason for which the tree also carries the name of the 32 paths of wisdom. To this basic diagram there have been added a variation of other systems and attributes from other beliefs and sciences. As such, the paths have been connected with the 22 cards of the Tarot, with the planets, elements, levels of alchemy and other aspects of esoteric teachings. Most of these attributes are derivations and permutations of those developed by the medieval hermetics who, with a lot of work, have produces the pseudoscientific charts of angelic hierarchies, of every grade of demons, even of those occult connections between stones and stars. The book The Magus; Celestial Intelligencer(published in 1801) by Francis Barrett is an example of these tables of correspondences, and the occult dictionary 777 of Crowley presents the magical correspondences in most systems (ex: gods, zodiacal signs, planets, perfumes, colors, numbers, mythical animals etc.). These charts are also found in Book Two from Occult Philosophy of Cornelius Agrippa, from year 1533. There are at least six ways of writing the word. Pronounced the same as ‘taci’. The Mystical Qabalah, Dion Fortune, p. 17. Kabbalah of Creation: The Mysticism of Isaac Luria, Founder of Modern Kabbalah, Eliahu Klein, Berkeley, North Atlantic Books, 2005. He ruled the mystical Jewish movement in XVI century and was known under the acronym Ramak, from Rabbi Moshe Cordevero. Shevirat HaKelim – breaking of the vessels. 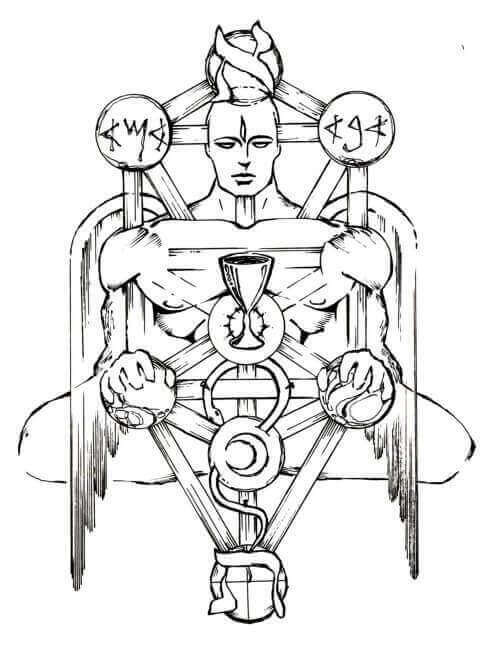 From the creation of Adam Kadmon there started different emanations which have contributed to the creation of the world. The first three Sephiroths, Keter, Chokhmah and Binah, have received divine light because they were ordered on the three columns, but the other seven inferior Sephiroths, not being ordered on the three columns through which descends compassion, severity and divine mildness, have not been capable of maintaining the divine light and thus have broken. This primordial situation has led not only to the collapse of the Sephirots, but also to the fall of the adherent worlds. In this way it was created the imbalance called Shvirat HaKelim – the breaking of the vessels; this imperfect arrangement of the Sephiroths is the origin of Sitra A’hra or of “evil”. Kabbalah Glossary: Clarification of Term and Concepts of the Kabbalah by Raphael Afilalo. Also known under the acronym “Besht”, considered the founder of the Hasidic movement. Founder of Hasidism, Rosman Moshe, Univ. Of Calif. Press, 1996. Grolier Encyclopedia of Knowledge, Pico della Mirandola, Giovanni, Conte, volume 15, Grolier Inc, copyright 1991. Heinrich Cornelius Agrippa von Nettesheim (1486 – 1535) has been an occult writer, magician, theologian, astrologer and German alchemist. Christian mystic and German Lutheran Theologian; Jacob Boehme: his life and teaching or Studies in theosophy, Hans Lassen Martensen, London, Hodder and Stoughton, 1885. The Magical Life of Dion Fortune, Alan Richardson, Aquarian Press, 1987. Born Edward Alexander Crowley, member of Golden Dawn, A∴A∴, and Ordo Templi Orientis (O.T.O.). Writer in the occult and esoteric domain, co-creator of the tarot deck Rider-Waite. Gershom Scholem, also known as Gerhard Scholem, was a philosopher and Jewish historian raised in Germany. He is known as the founder of Modern Academy of Kabbalistic Studies, becoming the first teacher of Jewish mysticism of the Hebrew University of Jerusalem. Born Alphonse Louis Constant, was an occultist and French writer. Eliphas Lévi, the name under which he published his books, was an attempt to translate his name to Hebrew language. Spiritual, mystical and Esoteric Christian form, with its origins in France in XVII century. Józef Maria Hoene-Wroński was a Polish Messianist philosopher. the cards of tarot as holders of symbols and esoteric knowledge. The Doctrine of Transcendental Magic, Eliphas Levi.